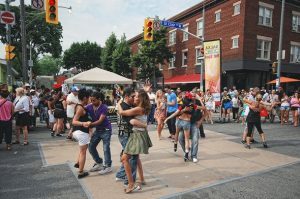 From July 3 to 23, in St. Clair street you are going to have the best Latin experience. Also, will happen the festival parade on July 8 and 9 were you will be able to learn Latin culture and try traditional food, music and dance classes. Another thing that will happen is an amazing Carlos Vives` concert on July 16. Go and enjoy this amazing experience in St. Clair street. But remember the food will be spice, so for those who likes it there will have plenty of.